Is anyone else still in shock that it's February? I have NO idea where the time has gone and I feel like we're playing one big game of catch up. 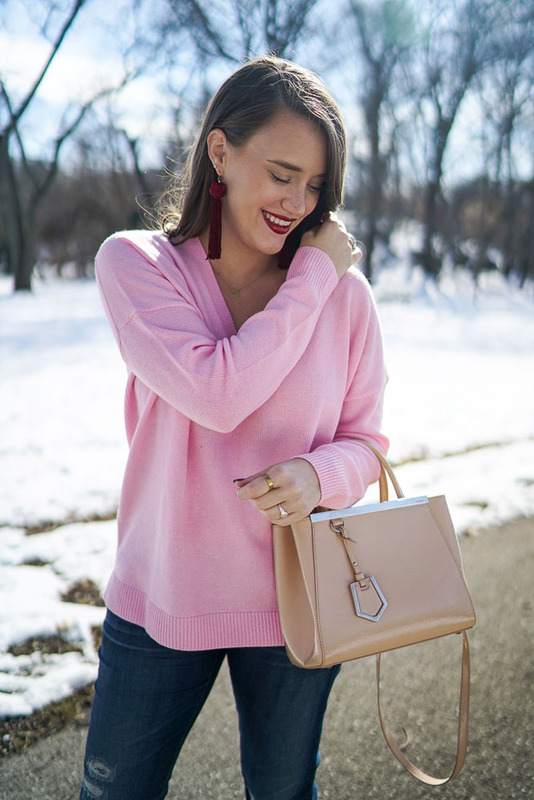 But if there is ever a time to break out a light pink sweater, it's now. And it might just surprise you! 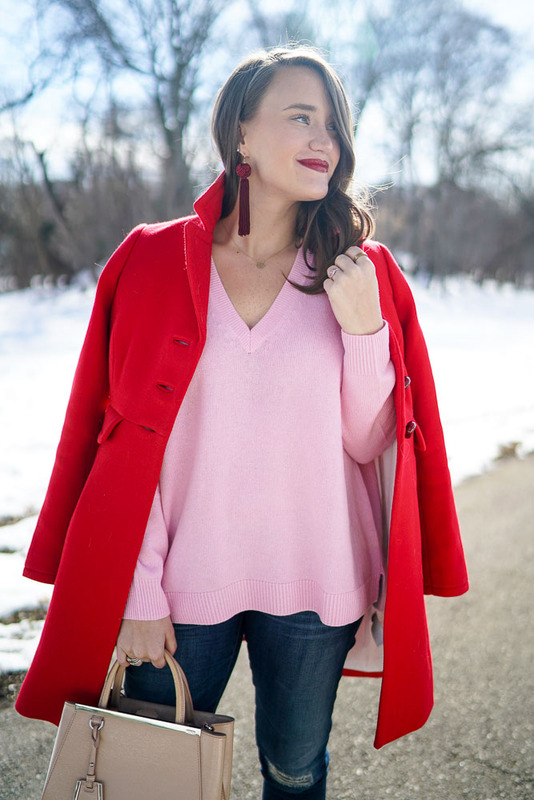 So I'm trying to think of the last time I wore pink on the blog. *starts the scroll* I found FOUR instances in the last year. 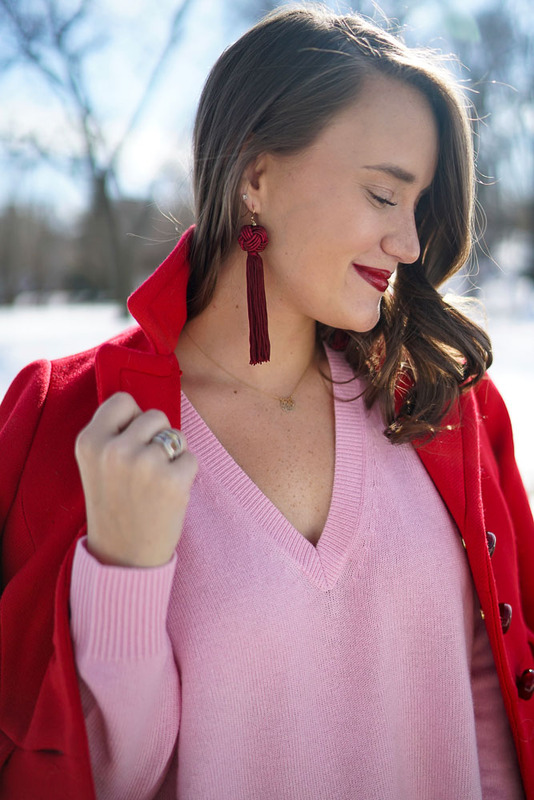 Recently in this Lilly dress (that, for the record I don't totally classify as pink), this off-the-shoulder top in Nantucket, Oaks Day at Derby (where it's mandatory to wear pink) and last Valentine's Day! Anyway, when I was brainstorming about what I'll wear for Valentine's Day this year I thought this sweater would be perfect. It's casual, comfortable and makes me feel good. 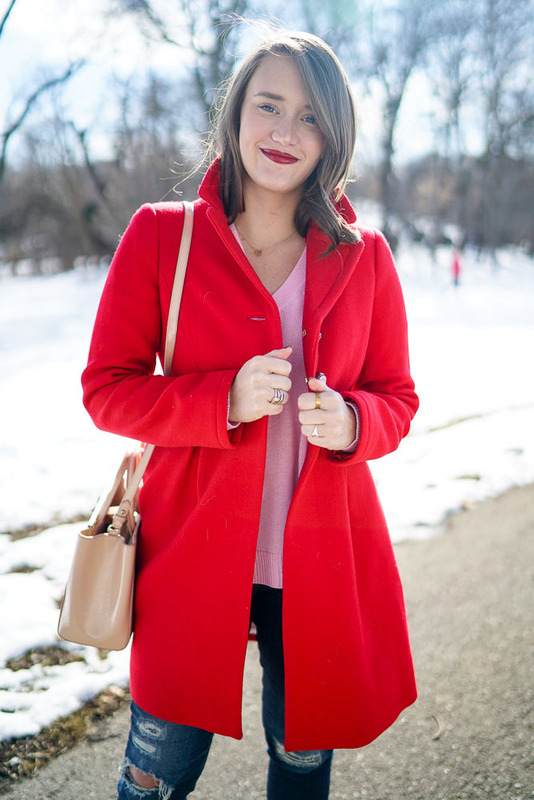 Pair it with a bold red lip and your favorite jacket, and you're good to go! 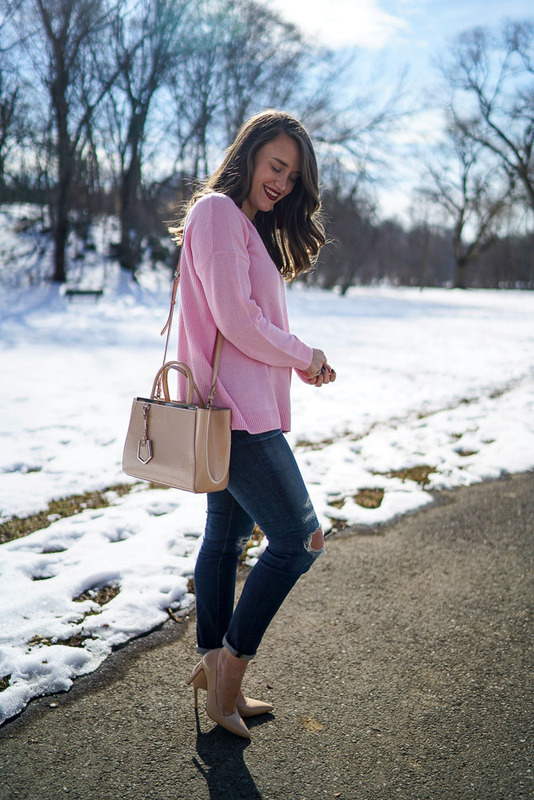 I'm not really into the whole fancy night out for Valentine's Day so I paired the sweater with my favorite jeans and my most comfortable heels (NYC tested and approved). Because you want to look cute and put together but lean toward the casual side of things. Always fun to dress up and down -- it makes you feel semi sassy. Or is that just me? Girl this color pink is your color, you look radiant in these pictures! Also, now that your hair is several inches shorter, do you still follow the same curl routine as you did before? 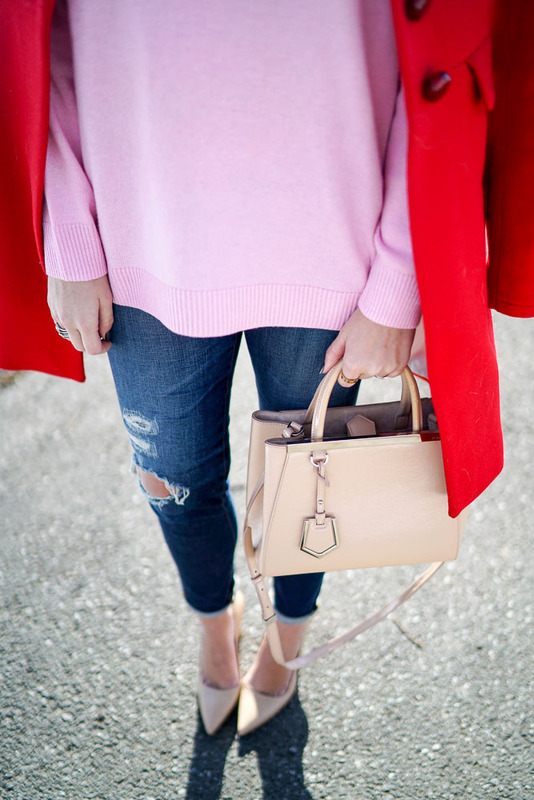 Love the pink and red color combo. Love the pink and red! 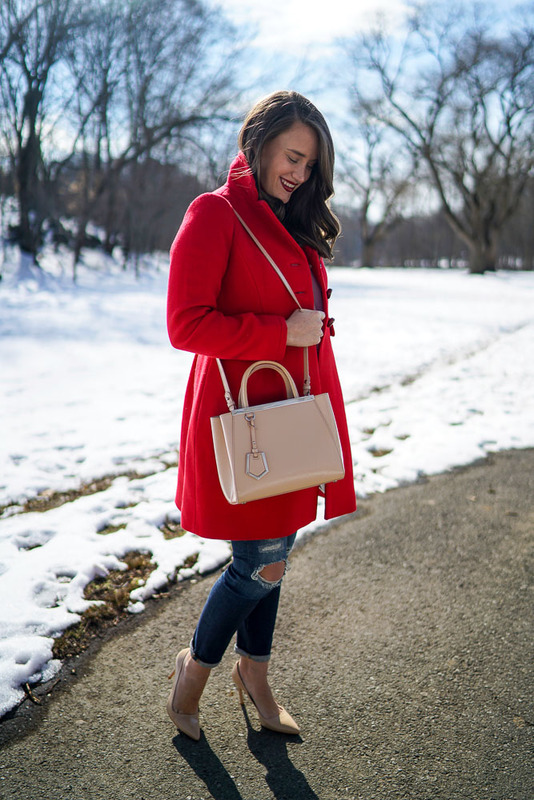 Great casual Valentines look! Your earrings are beautiful! Love this casual look but I REALLY love the earrings and lip color you chose! Too cute girly! I can't believe it's almost Valentine's Day! Valentine's Day always signals baseball spring training for me, which inevitably means my life gets way busier (probably yours too)! I'm not ready! 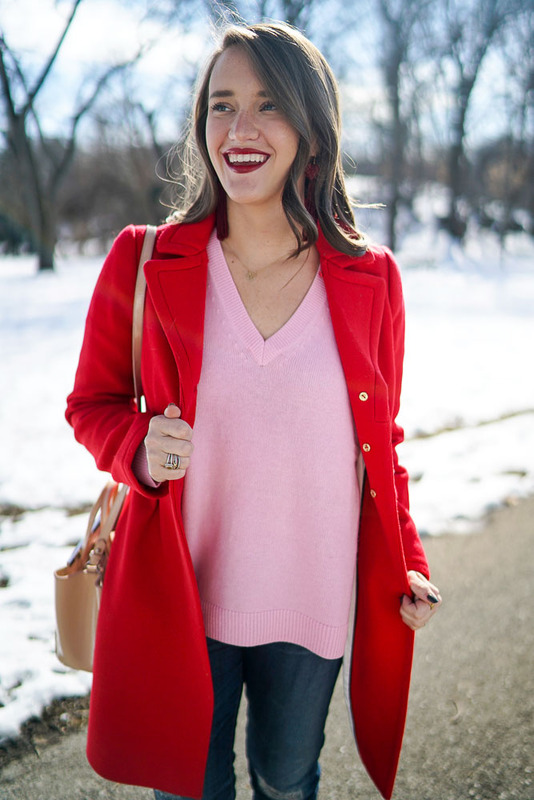 Love the pink and red together, perfect for Valentine's Day!